A Shepherd's Heart: New Creative Bible Study Through The Gospel of John - from my friend at the Stone Soup For Five Blog! 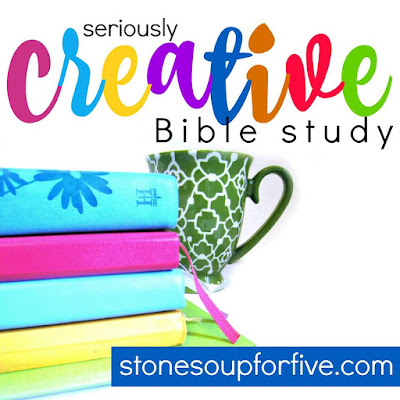 New Creative Bible Study Through The Gospel of John - from my friend at the Stone Soup For Five Blog! A long time friend, Kari Denker of the Stone Soup For Five Blog has just written and launched a creative and in-depth 21 week study through The Gospel of John! This Study is for Adults and youth alike and this week only - it also comes with a companion lap book for kids to do right along with you! There is nothing out there like it (other than her previous study series of course :-) ) that mixes in-depth Journal Study of God's Word with doodling. Very cool way to remember God's Word! "Dig deep into God's word and remember it better than ever. The special package for the launch of the newest Journal and Doodle study through John ends this Saturday! Don't miss out on the study and a lapbook to help your children to join along! Also, if you act now and use this special code she created for my followers, SHEPHERD20, you'll get 20% off! The code is good for this week only! Plus, don't forget the special lap book that will come with it if you purchase it this week! Nice bonus beside the 20% off! Kari has once again poured her heart into creating an incredible resource to help people grow in their knowledge of God's Word and their walk with God! This would also make a wonderful gift so...Check it Out!